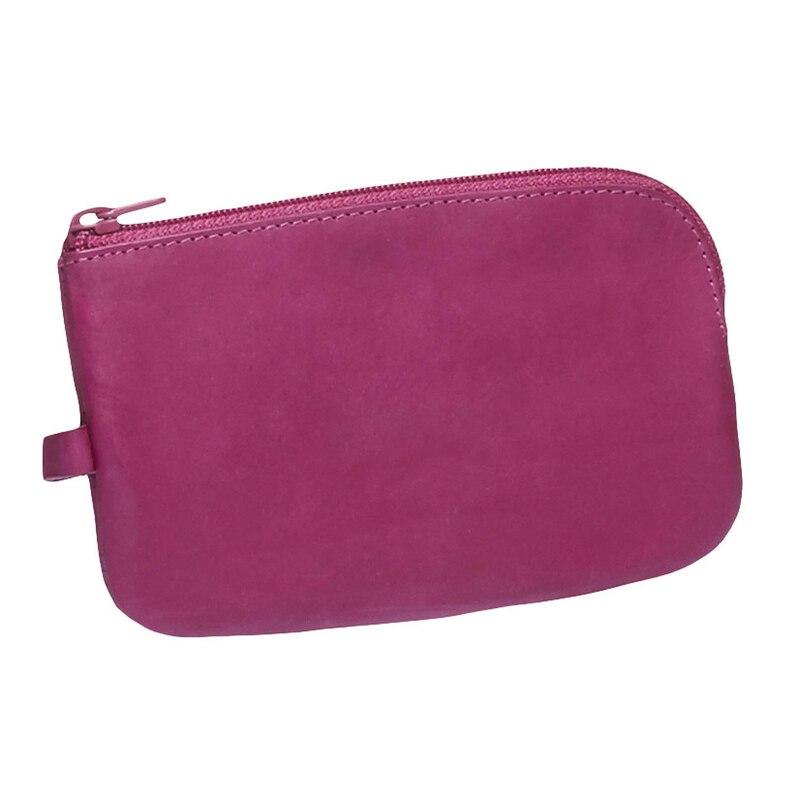 A small leather purse in an original pink shade ideal for coins. The main zippered pocket includes key chains and the small rear zippered pocket can be used for small items. 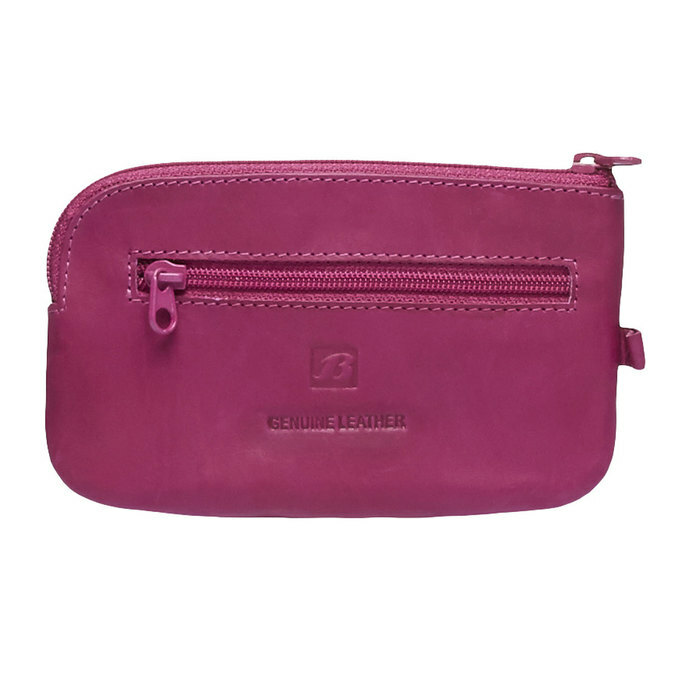 An ideal accessory for travel or places where you do not want to take a big purse.